Both channels independent volume controls, and there is a master volume control which adjusts the overall volume of the amplifier. So you can really drive the clean channel hard to get that nice warm overdrive "breakup" at levels that won't annoy your neighbours. Switching to the Overdrive channel provides a thicker, creamier overdrive for harmonically-rich blues and rock tones. MASTER VOLUME - Adjusts the overall volume of either the Clean. or "Drive" channels. I bought this two years ago, had to send it back after three weeks because of no sound, Artist Guitars promptly sent me a postal return label, and I had another TweedTone at my door within the week, and, I live in a regional area. Turns out that it was a defective tube. 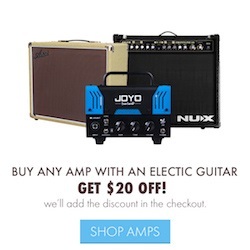 So, I have gigged with this amp at least once a week, sometimes three since then. I've been playing for over forty years and to say this amp is great would be an understatement, it has really been a workhorse with sweet tone. If used for harp, just swap out the first 12ax7 slot for a 12ay7, that may void the warranty, but cuts down on feedback for harp. I can't rate Artist Guitars highly enough for their service and professionalism! 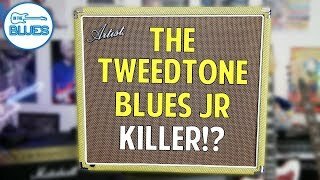 I was in the market for a Fender blues Jr iv, but saw some reviews on the tweed tone 20r, so decided to give it a shot... I was not disappointed! This is by far my favourite amp I've owned to date! 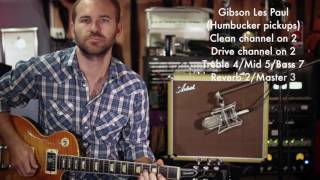 Probably the best sounding drive channel IMO that I have heard on any of my amps I've owned... Top notch Artist Guitars! I was looking at a small head amp with Aux, Headphone, Bluetooth function very cleaver and a super price, I asked the sales guy to plug in the TweedTone (no Aux, Headphone or Bluetooth) just for a sound comparison. The sound difference blew me away and was just what I had been trying to achieve, makes a massive difference to my LP59. I bought it on the spot Great decision! Thank you Artist.